Have you ever listened to ambient in surround sound? Cocooned in soothing textures, repetitive sound patterns like heartbeats to your eardrums, it’s wonderfully womblike. The genre has been described as sonic wallpaper, the layered audio evoking an atmosphere or mood without demanding attention. In this way ambient, and its sister genre drone, reward both active and passive listening. And as ASMR fans will testify, the rewards can be skin-tinglingly amazing. 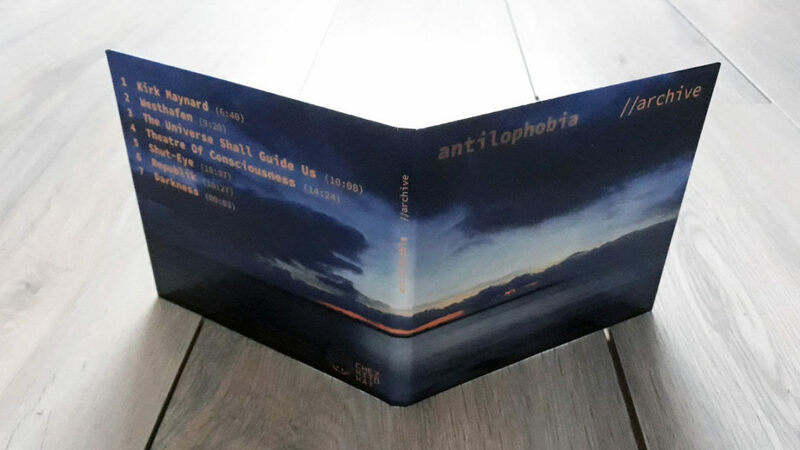 It was this electric appeal that led Electronic Music Production & Performance Bachelor student Tom Reger to establish his burgeoning ambient/drone project antilophobia. His secondary project käptn trödl is home to his faster and darker sounds. 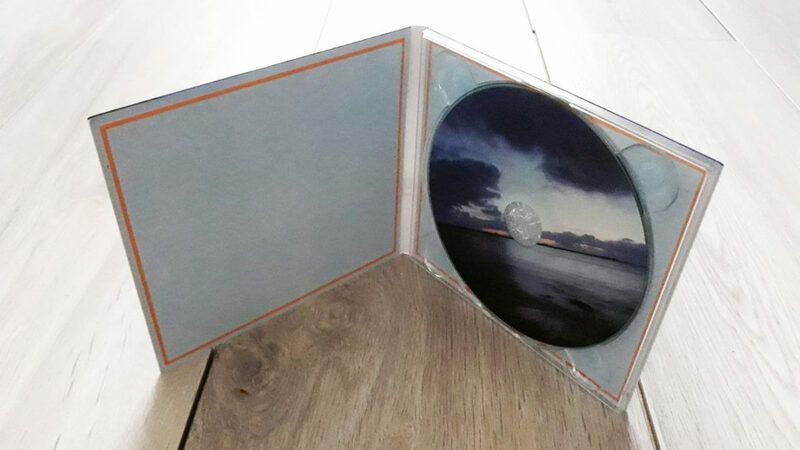 On Sunday, the Luxembourgian artist and live performer released his first physical album, Archive, on French-Canadian label Chez.Kito.Kat records. At 70 minutes long, it’s not so much a static wallpaper as it is a beautiful evolving structure, built for relaxed exploring. Track names such as ‘Theatre of Consciousness’ and ‘The Universe Shall Guide Us’ couldn’t be more telling of Tom’s philosophy. To learn more about the creative journey that got him here, we caught up with Tom for a quick interview. What were the inspirations behind the album release? In spring, after a live performance in Luxembourg, my home country, I was contacted by the founder of Chez.Kito.Kat records. The French-Canadian label for all kinds of electronic music offered me the possibility to release an album with them. I had already released my EP Manila on their digital branch Digital.Kito.Kat in May 2018. This opportunity meant a lot to me, since it’s my first full-time album and physical release ever. Musically, I drew inspiration from some of my favourite drone works such as Robert Rich, Warmth and Arctica. During that time, I was listening to a lot of experimental ambient and drone music and attended and co-organised sleep concerts. With this album, I want to make my first contribution to this extremely versatile and beautiful music scene! My plan was to compose the entire album from scratch, track after track, starting with an intro. I quickly realized this is almost impossible – at least for me. I ended up composing the first piece, then I went on to the second one, and by the time I had started the third piece, I felt that the first one didn’t fit stylistically. This process went on for a few months. By that time, I had a huge archive (over three hours of material) of unfinished tracks and processed sounds from which I then made a selection – hence the album’s name “archive”. Technically, most of the sounds are made from very short loops of different sound sources. Those sources include acoustic instruments, modular synthesizers and field recordings, processed with reverb, distortion, feedback delays and pitched down. Puh. I would probably save this chance for another moment in the future. As a musician, I am extremely self-critical. And I don’t necessarily want to impress other people with my music. I don’t think this is what this music is about. I want to give the listeners of my music a moment to relax! A lot of the work has been made in the dBs facilities and I acquired most of the technical knowledge through the lessons in school. All in all, I drew a lot of inspiration from the school environment. I owe my love of ambient and drone music to this place, since I started to value, and explore, this style of music through the works of my first year classmates and tutors. When I moved to Berlin, I was mainly interested in the darker side of electronic dance music. I still love, and make, this music today, but my musical horizons have been broadened since. Be creative! Just do what you feel like doing and do not feel the urge to adapt to any existing trends. A lot of companies tend to persuade you that you need certain pieces of gear or to apply certain techniques in order to be “successful.” But you don’t necessarily need any of that in order to make good music – especially if it’s experimental or ambient. You can make music using a single sound source, a very short sample of an acoustic guitar or an interesting sound recorded somewhere in your neighbourhood. Again, be creative. The internet is full of useful tips and tutorials, as well as amazing sound archives which are free to use. If you really want to gain in-depth knowledge, there are, especially in Berlin, many ways to study the topic, which is what I do here at dBs. Also, I always recommend checking out the not so well-known artists or cultural institutes. In my experience, that’s where you find the most inspiration! 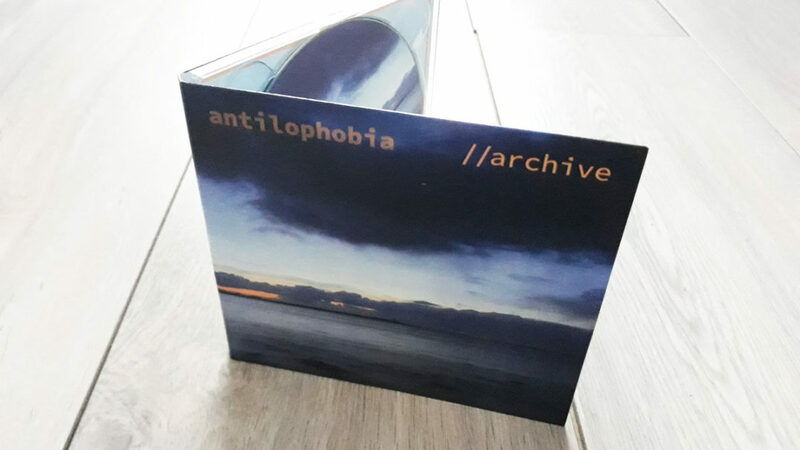 Download or order the physical copy of Archive on Bandcamp, or via antilophobia@gmail.com. Follow antilophobia on Facebook, SoundCloud, Instagram and Bandcamp. Learn about the creative journey of Creative Music Production & Sound Engineering Bachelor student and psych-punk musician Barak Shem-Tov here.